A few months back I was talking with my friend Christina about how wonderful it would be to just leave. That’s it – just pick myself up with a couple weeks-worth of clothes and just leave. I’ve thought of this off and on throughout the years. When I was back in college, I used to have these dreams at night – maybe more nightmares – where I was running and running and running away from people or things. I still have them sometimes but maybe not as frequently. Right before my Junior Standing, I had this dream where something happened and I started running away from my piano teacher and she started chasing after me. I ran down a never-ending supply of stairs. I made my way into this room that was pitch-black and had a single chair in the center. I ran and sat on the chair, pulling my legs to my chest and sat very quietly, hoping that I was never found. I remember that dream so vividly, even still. Back in college and grad school, I would talk with my friends of just wanting to find a quiet place to run to – I often would state a cave. Now, I realize that I could never survive as a hermit in a cave. That really would be quite…um….not my speed or style. When I was talking with Christina, I brought up a few more options. I often think how wonderful it would be to find a small town on the Oregon coast, with a lovely little home that I could move into and just live with no expectations. Maybe I would teach piano, maybe I would pursue a different life course. Another idea was just selling everything and making my way to Australia or New Zealand and just starting over. I think that is the key: starting over. I have a fairly good life. I have a great family, fabulous friends, a stable job, but I am far from being satisfied. Who would not want a reset button? I just finished reading a book by Maria Semple, Where’d You Go, Bernedette? This book shows, through emails and other correspondence, the spiraling-out-of-control life of Bernedette Fox. She was an award-winning architect, wife, and mother and lost sight of what she wanted and who she really was. It took everything nearly falling apart for her to re-locate herself. After accidentally dealing with the Russian mob, hoarding anti-psychotic meds, and a trip to Antartica, she remembered herself. Nobody could find her – it was as if she literally fell off the earth. Toward the end of the book she makes a statement about how this “break” was what she really needed for herself and for her marriage. A little before that, her husband Elgin, made the comment to his daughter (the narrator) that he knew Bernedette was an artist and had this need to create but he had no clue how he could have helped her. I found myself really identifying with Bernedette and cheering her on while I verbally cursed many of the other characters. Maybe the point of all of this is that sometimes we do need a break to really remember the identity that is solely ours. I had a friend during college with which I had many deep conversations. She was the wife of a church leader of mine. One day she introduced me to someone as a pianist. I railed at that association. I was not so upset because I was (and am) a pianist. I was upset because I felt that was all people saw when they looked at me. 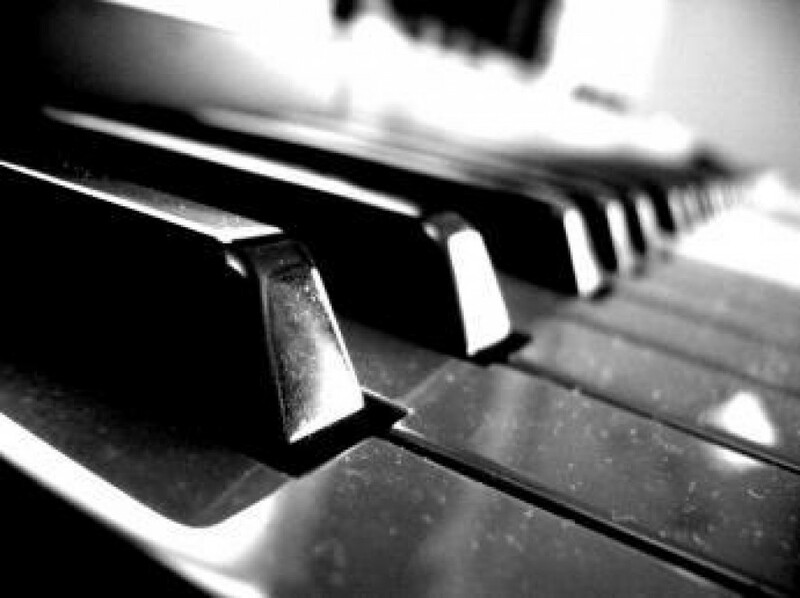 There is so much more to me than my ability to play the piano. I have since come to the understanding that people will see what they want to see. The most important thing should be how I view myself. How can I make sure that I am seeing the true vision of myself and not a reflection of what someone else is seeing? I was talking with my friend Mark a couple weeks ago and he made a comment that has stuck in my brain. He was talking about not wanting kids and that he keeps his life in such a way that he can walk away at any moment. That is a marvel concept and not many people would understand but I truly could see his view and envied him a bit at that moment. I still get that urge to run and to hide. I suppress it mostly but have my moments of needing space and time and quiet. I love these moments of meditation and not being able to be reached – maybe more than I should. We all need breaks. We need time alone. We need to just be at times. This week, I am just going to be. I can really relate to this. I sometimes lie awake at night dreaming of ways to effectively pick up and just run away…just keep on going until I finally get somewhere, anywhere, where I can belong. Except I know that there won’t ever be that ending point because it doesn’t exist. I wonder if this is a feeling associated with creativity, (ie, the “artist” mindset) or if everyone feels this way. I meet people sometimes who don’t at all seem to have this urge, they just want to stay, stubbornly, blindly, exactly where they are and never leave no matter what. I think that it has something to do with creating and the pathway to creativity. I have also met my share of people just content with the life they are leading, not wanting to know what is beyond the horizon. I have that NEED to know what else is out there, what is within my realm of possibility. It is nice to know that someone else feels this way.